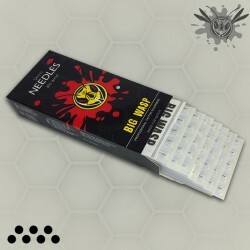 BIGWASP Premium Tattoo Needles are made from the best stainless steel. Each needle will be checked several times to ensure the quality. Needles are soldered on bars well and precisely. Tattoo Needles There are 4 products.